Nifty opened flat but rode on the back of superb result from INFY to make a high around 6240, but saw the responsive Sellers take control from thereon to close flat at 6171.45, a miniscule gain of 3.10 points. On a week on week basis the index lost 39.70 points or 0.64% approx. The broader market though was very weak, with just 446 advances to 939 declines. Best support for the series still at 6000 Level. Call option 6100-6500 added 10.85 lacs huge amount of OI with profit booking seen at 6600 and above strike prices. Put option 6200-6100 and 5900-5800 added 13.60 lacs huge amount of OI with short covering seen at 6400 and above strike prices. Nifty Open Interest is at 1,70,45,600 down by 27,350, with no change in price, most probably long liquidation/short covering. 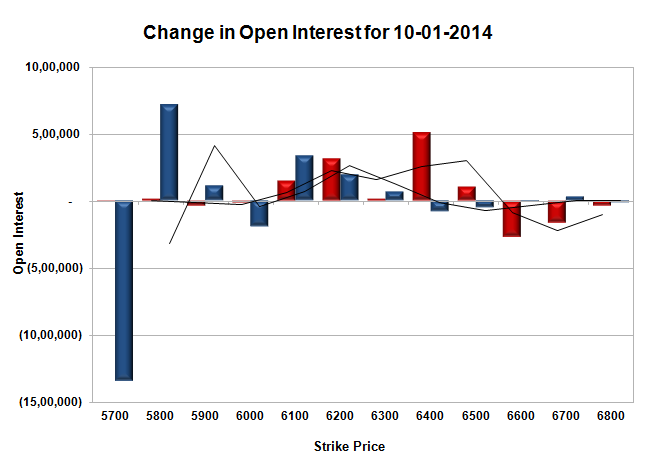 Bank Nifty Open Interest is at 17,38,525 up by 98,000, with decrease in price, most probably huge short build-up. FII’s bought 2.32 lacs Futures, mostly short covering, as their net OI decreased by 5456 contracts (includes 71181 longs and 66545 shorts for the day) and the average price per contract comes to around 6102.40. FII’s future open contract as on date is 420450. PCR Open Interest (Volume) just went below 1 at 0.988. 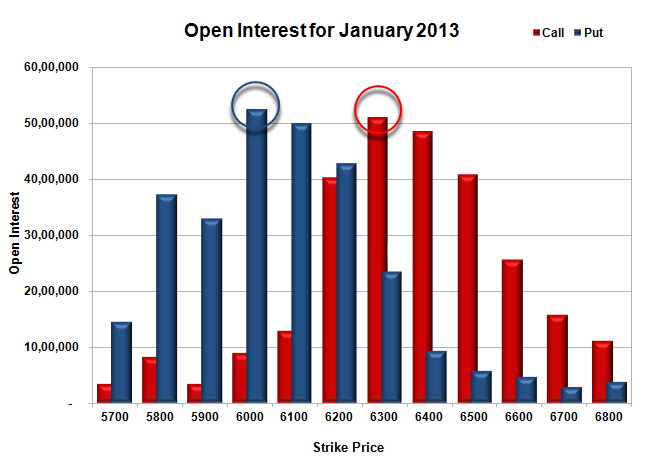 Initial support still at 6100, with huge OI of 49.94 lacs and below that at 6000 with highest OI of 52.43 lacs. Initial resistance at 6300, with huge OI of 51.10 lacs and above that at 6400, with OI of 48.55 lacs. 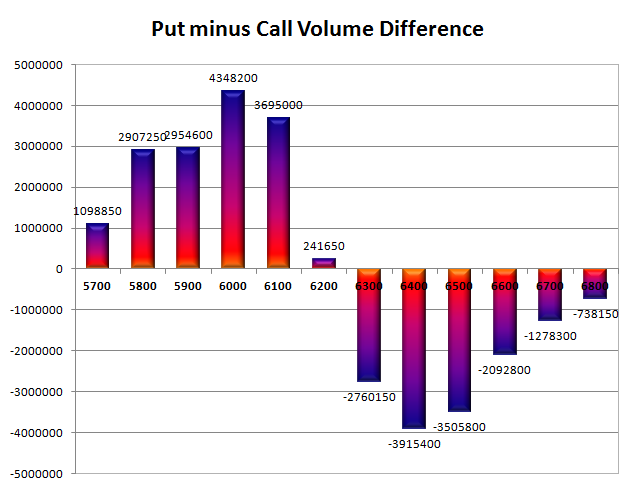 Day Range as per Option Table is 6131 - 6230 and as per VIX is 6121 - 6222 with 6183 as the Pivot.